This completely automated robotic lamb processing plant in Bordertown, South Australia, is an incredible innovation. Created by Scott Automation & Robotics in conjunction with JBS and Meat & Livestock Australia, the processing plant is a marvel. It aims to revolutionise butchery operations. 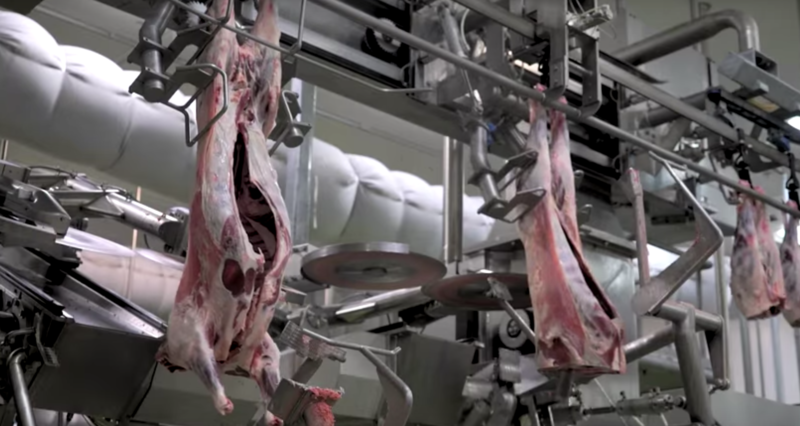 The machine uses x-ray to scan each lamb carcass as it comes down the conveyor. The x-ray identifies precisely where to make primal cuts – for example, between the fourth and fifth rib – and delivers these cuts for further processing. After the primal cuts, the middles are processed on a further machine, resulting in extraordinarily tidy racks of lamb. The efficiency and precision of the machine is only equalled by its impressive safety standards. While bandsaw injuries are relatively rare in the industry, they are catastrophic when they do occur. The robotic system completely eliminates the risk of those types of injuries. The x-ray system ensures perfectly precise portions every time, and eliminates human error. The human factor also meant that delays occurred during processing. This led to backlogs of meat on the conveyor belts, meaning meat was left unpacked for longer periods of time. Now the cuts are consistent and constant, and handled by fewer people. While the robotics eliminate human involvement where it is beneficial for efficiency, safety and precision, the plant is not completely devoid of life. There are still plenty of at the processing plant, packing and sorting the cuts for distribution. See more from Scott Automation & Robotics here.